Charles McPhee 1910 - 2002 was one of the original velvet painters. He studied with the founder of this genre, American Edgar Leeteg 1904 -1954. In the early years after WWII, painting on velvet was cast as a unique new technique enabling the artist to render life forms in a tactile and extremely lifelike way. McPhee enjoyed immense success, he was always one year behind with his portrait schedule of commissioned works. His popularity was such that his exhibitions were always sell outs. 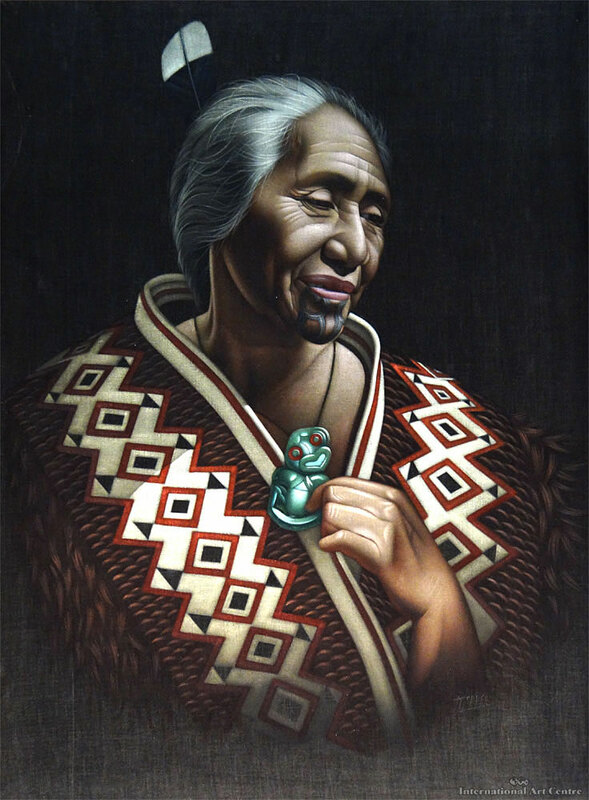 McPhee died in Auckland in November 2002 at the age of 92. A documentary titled Velvet Dreams was directed by award winning Samoan director Sima Urale in 1998. The narrator meets velvet artists and collectors in Seattle, Arthur Leeteg's widow in Tahiti, art historians in Auckland and, finally the then 88 year-old velvet painter, adventurer and party boy, Charles McPhee.